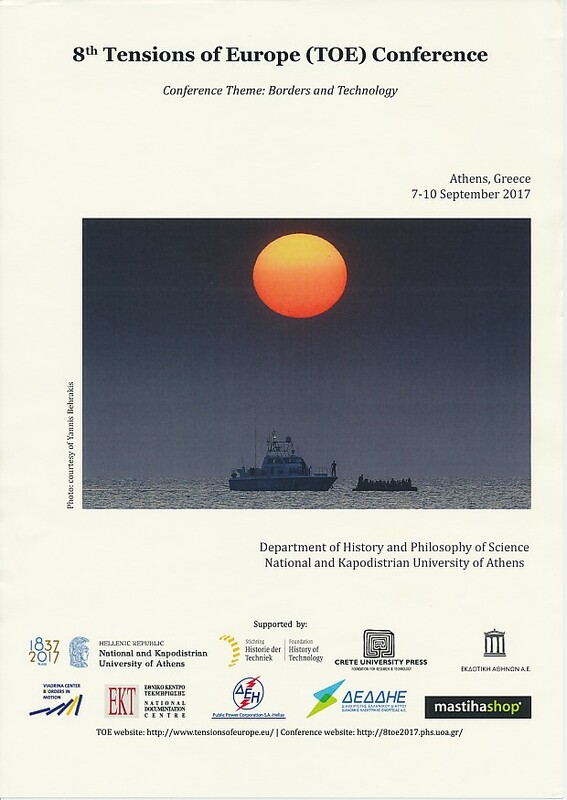 The main theme of the 8th Tensions of Europe Conference in Athens was the history of borders and technology. The conference has papers studying the history of the relationship between national borders and transnational infrastructures, hidden technological linking and delinking that reinforced or challenged border delineations and demarcations, the relationship between borders and technologically-induced environmental crises and disasters, the virtualization of borders and the territories that they contain through the use of electronic and related technologies, geopolitics and technology, the redefinition of borders due to the use of technology (and vice versa), all the way from the production to the circulation and use of goods and commodities. One central aim was to cross-fertilize between disciplines and therefore there were contributions from a wide variety of historical disciplines as well as from fields like Migration and Border Studies, Migration History, Mobility History, etc, especially in connection to borders and migrations from, to and within Europe.